Premsing Chavan said he got just Rs 442 in his hand, after deducting transport and other charges, after he sold his cauliflower crop. Premsing Chavan said he got just Rs 442 in his hand, after deducting transport and other charges. 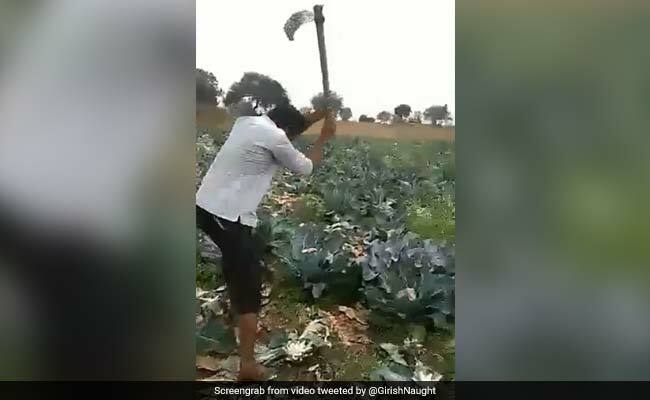 Mumbai: The video of a Maharashtra farmer destroying cauliflower crop on his land after he got a paltry amount for the produce went viral on social media. "I destroyed the crop in a fit of rage after getting peanuts for my produce. My friend filmed the act with his mobile," Premsing Chavan, a resident of Pohegaon village in Jalna district, said. "I was so angry that had there been a pesticide available on my farm that day, I would have consumed it and ended my life," he told a local news channel. "I grew cauliflower and tomatoes on my land, spending around Rs 40,000 but got only Rs 4,000 for the two crops," he said. "The BJP-led government should take note of our plight and ensure remunerative prices for agro produce," Premsing Chavan said. The incident comes a week after the much-televised Kisan long march last week, where thousands of farmers and tribals from Nashik reached Mumbai, walking 180 kilometres in six days. Watch this farmer destroying his crop because he couldn't even get his investment back. This is so sad. 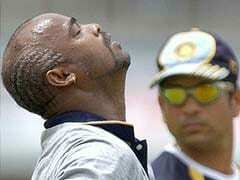 Do listen what he has to say. The sea of red flags on Mumbai's roads which culminated in a public meeting in south Mumbai, garnered eyeballs. Images of the blistered, bleeding feet of women who braved the blazing sun with broken footwear made an impact on newspaper readers and TV viewers.